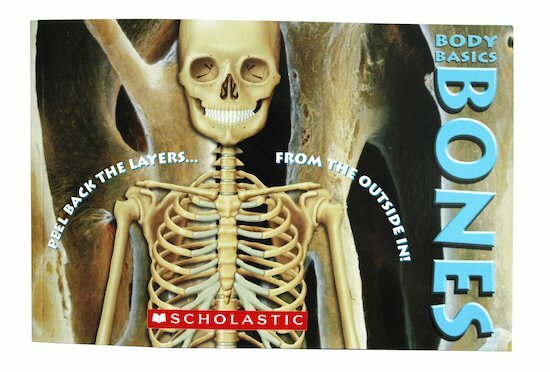 Peel back the tabbed pages of this unique book to look at your skeleton from inside. Get down to the bone, where the action is! This exciting book of cutaway fun travels through all the bones of your body, with each page getting bigger as you go. From your skull to your tiny toes, shake a leg and start exploring. 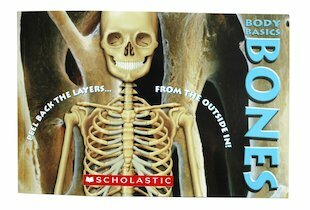 Every time you lift up a layer, you learn more amazing facts – until you open up a fold-out of a complete skeleton. Cool!